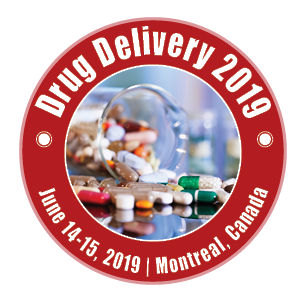 As new product formats progress through development and into the regulatory process, the role of Bio therapeuticsas Novel Technique in Drug Delivery is important scope. The demand for Biopharmaceuticals manufacturing and industry is continuously increasing, because many Therapeutic Agents are reaching later stage clinical trials. Most bio therapeutic drugs are recombinant monoclonal antibodies which are widely produced in mammalian cell lines because of the need for post-translational modifications that should be alike or at least similar to those obtained in humans. Thus, there is an increase in the market for cell line development. Moreover, advancements in upstream processing technologies have led to improvement in speed and efficiency of generating robust and highly productive cell line for large scale production of protein therapeutics and has propelled the market for cell line development. Major drugs driving growth of the overall smart drug delivery market include Angiomax, Copaxone, Forteo, Sandostatin, Velcade, Victoza, Zoladex, Beckton Dickinson & Company (U.S.), Beckman Coulter (U.S.), Boehringer Ingelheim Group (Germany), Catalent Inc. (U.S.), CMC Biologics A/S (Denmark), Lonza Group Ltd. (Switzerland), EMD Millipore (U.S.), Partec (Sysmex Corporation) (Japan), ProBioGen AG (Germany), Selexis SA (Germany), Sigma-Aldrich Co. LLC.